Size Options: 4 sizes provided: XS, M, L, XL. "They were comfortable and worked to my standards." 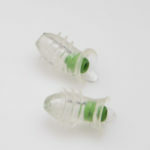 "Easy to use, comfortable to wear, they provide good protection of hearing in music venues. Sometimes protection is so good that discussion with friends can be affected. 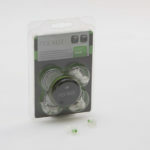 I recommend these earplugs without hesitation."